This tool is for the easy dismantling of the firing pin assembly. 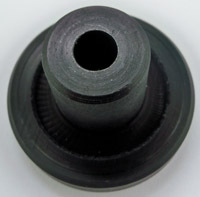 Simply place the assembly into the locating hole; the shape of the tool gives a good hand hold for withdrawal of the firing pin spring. 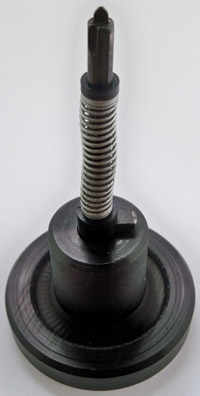 The large groove in the base of the tool can be used to hold the spring cups whilst the firing pin is being cleaned/inspected.